Click the button below to join and activate your membership now. November 1 – October 31 is the membership year of the Montana Pharmacy Association. Member types and annual fees are below. Student -- $10; Talk to your student representative at the University of Montana. 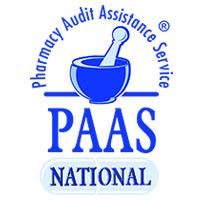 Pharmacy Business -- $225 for one pharmacist and one technician at the same business; additional pharmacists are $155 each and additional technicians are $25 each. Tele-pharmacy -- $75 for a tele-pharmacy business and one technician; owner must be a Pharmacy Business member. Household – $245 for two memberships; spouse/partners who reside at the same address. Associate -- 300; for suppliers and entities that support the pharmacy industry of Montana.